Chandigarh ranks the foremost in India as the easiest city to pursue new business ventures by a study by the Confederation of Indian Industry. Chandigarh, apart from being admired for its architecture, leads the nation in per capita income and human development index, providing the residents with high quality of life. Chandigarh is rapidly emerging to be powerful economic centers in the country. Recent surveys have indicated that Chandigarh attracts a number of foreign investors keen to establish themselves in the region. The dynamic employment market of Chandigarh continues to attract professionals looking to be part of a challenging working environment. Chandigarh is the preferred destination for a number of IT start-ups and this led to an exponential growth in the number of job opportunities. There are a plenty of e-learning options available today targeting professionals who are looking to update their professional repertoire to keep pace with innovations in their field. 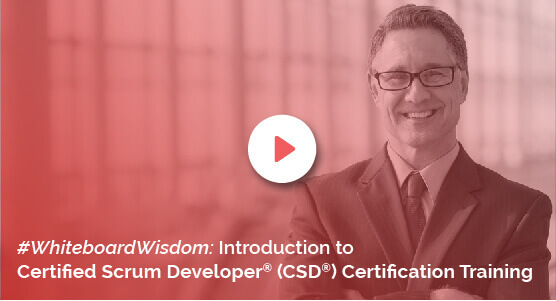 KnowledgeHut offers CSD Certification in Chandigarh, which is a course tailor-made for professionals looking to make a career in software development in the scrum framework. The online modules of the CSD Training in Chandigarh are extensive and cover all the latest developments in the field as a certified scrum developer. The online classes come supplemented with comprehensive resources which can be easily accessed by candidates. CSD Course in Chandigarh will definitely enhance your professional repertoire and go a long way in furthering your career in software development. Formal training provided by KnowledgeHut is designed to expose students to the fundamentals of software development in scrum framework. KnowledgeHut provides high quality online training in Certified Scrum Developer Certification and certification in CSD can go a long way in empowering you to demonstrate your superior techniques in software development. The price of the course offered by KnowledgeHut is highly affordable and is a wise investment for professionals looking to gain expertise as certified scrum developer. Attending KnowledgeHut's online classes on Certified Scrum Developer Training in Chandigarh is a step in the right direction for aspiring software developers and for professionals looking to enhance their career.